'What a story!' This was the original studio tagline for Santa and the Ice Cream Bunny. You will have to ignore, of course, that Santa & the Ice Cream Bunny barely contains a story, let alone a coherent thought. It's one of the strangest and most baffling pieces of outsider art that Mike, Kevin and Bill have ever riffed. 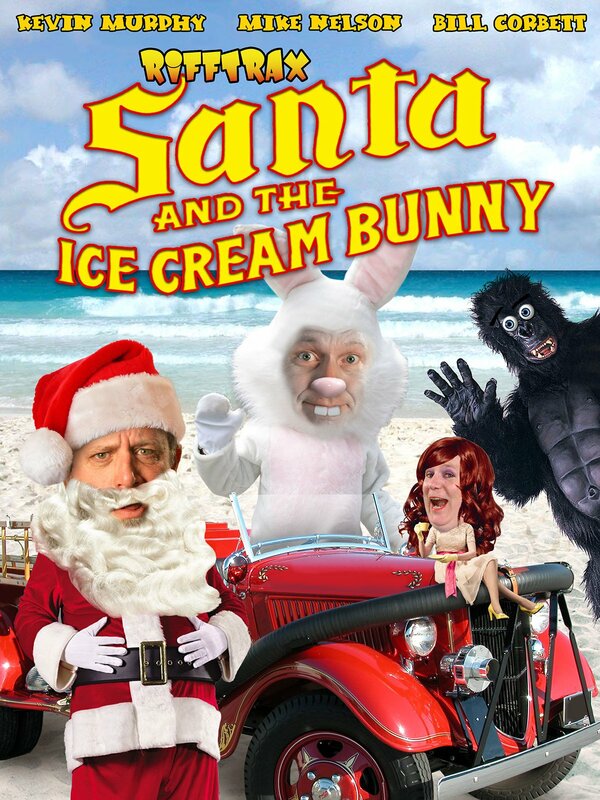 Please join us in experiencing: Santa & the Ice Cream Bunny.